Google is taking a more global approach to the Pixel 3 and Pixel 3 XL launch, announcing that it will now offer its new phones in 13 countries, including Japan, Ireland, Taiwan, and France. 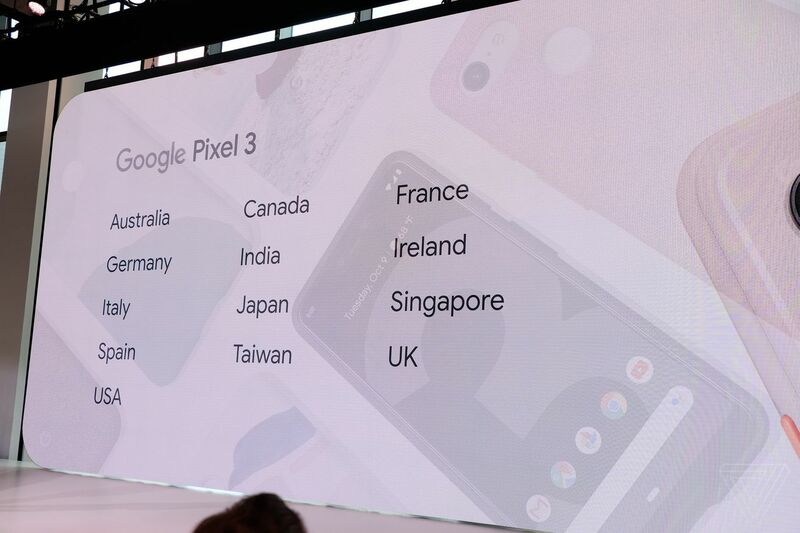 This builds on the rather small list of countries where Google’s Pixel 2 saw official release, which comprised of US, UK, Australia, Canada, Germany, Italy, Spain, India, and Singapore. Now in its third generation, Google has been quite slow to bring its flagship smartphones to a wider audience, especially considering how easy it is to find a competing device, like the iPhone XS and Samsung Galaxy Note 9, practically anywhere you live. Still, its spread to more countries will give Android users more choice than before.